So, you remember that trailer for the Detective Pikachu movie? Just a reminder that it’s out in May, and there’ll be official merchandise for it. Yep, that trailer, with Ryan Reynolds as the voice of the little jaundiced electric detective is for the movie that releases this year, and it’s getting a range of toys as well as exclusive cards for the Pokémon Trading Card Game. 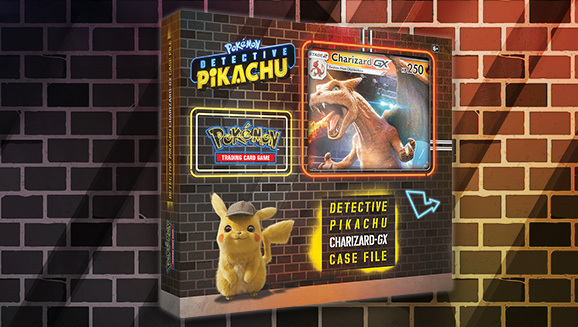 The Trading Card game will get a collection called the Detective Pikachu Case File, which will have a promo card featuring the little sleuth, a metallic coin boasting a design inspired by the film, two Detective Pikachu booster packs, a regular Pokémon TCG booster pack, and a code card for the online TCG. There’ll also be two GX Case files, one for Charizard and one for Greninja, each featuring an oversize card and a pin for the respective titular Pokémon. The Charizrd set gets four Detective Pikachu booster packs, while the Greninja set gets five, while they both get two regular booster packs and one card card for the online TCG each. Finally with all these new cards you might want something to keep them in, so there’s a Detective Pikachu Collector Chest. As well as being a handy storage item you’ll also get seven Detective Pikachu boosters, two regular boosters, a Detective Pikachu inspired collector’s pin, a notepad, a sticker sheet and a Online TCG code card. The three case files are released on March 29 here in the UK, while the collector chest is out on May 3. America gets all of these on April 5. Of course there’ll be toys to buy as well, ranging from action figures to roleplay items, like hats. 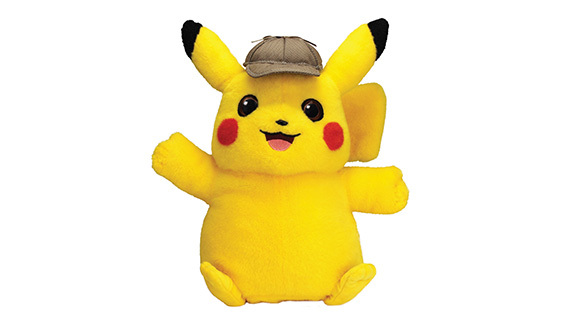 There’ll also be a talking Detective Pikachu plush. Detective Pikachu hits UK cinemas on May 10.